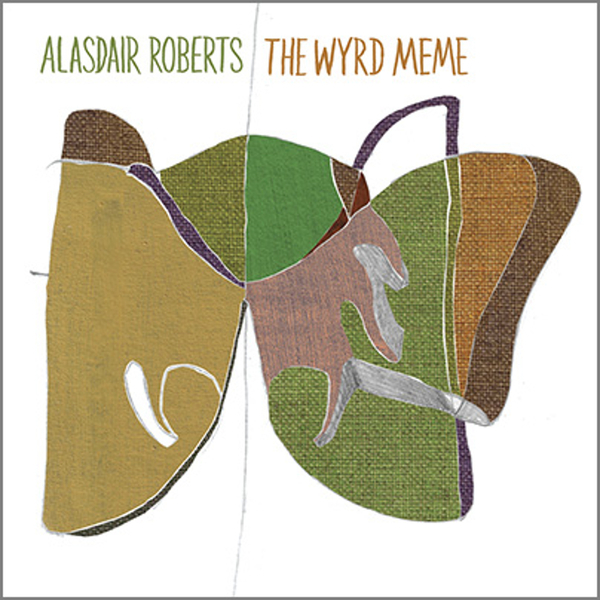 A quartet of new songs from the ever-wonderful Alasdair Roberts - a follow-up to his long-player Spoils, released earlier in the year. The tone is carefully poised between staunchly traditional folk values and more modern arrangement styles; though Roberts' fingerpicking and unaffected delivery are faithful to the genre's purist leanings, there's nothing conventional about the songs' segmented structures or the often very minimalist arrangements. It's quite strange to hear such a seemingly old-fashioned singer applying kettle-whistle electronic tones to the background of 'The Yarn Unraveller', but then as the piece continues, the primitive oscillations give way to more sympathetic string sounds. The writing is excellent as ever, with the disconcertingly upbeat 'The Royal Road At The World's End' providing a particularly effective passage, in which Roberts' full band fires up (complete with Alex Neilson drums) singing the call-and-response refrain: "The world ends in the skirl of the war pipes/The world ends in the mouths of the war dead". The sequence comes to a close on a less conflicted note, with the warm-hearted 'Coral And Tar' wrapping things up all too soon. Lovely stuff, it's just a shame there's only twenty minutes or so to go around.